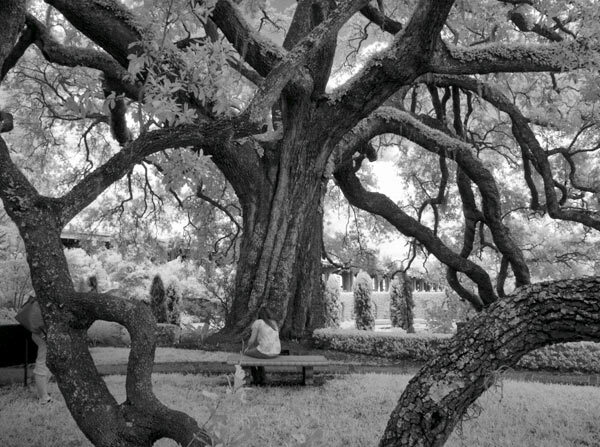 For more than 100 years, the Cummer Oak has presided over the Cummer Gardens, listed in the National Register of Historic Places. 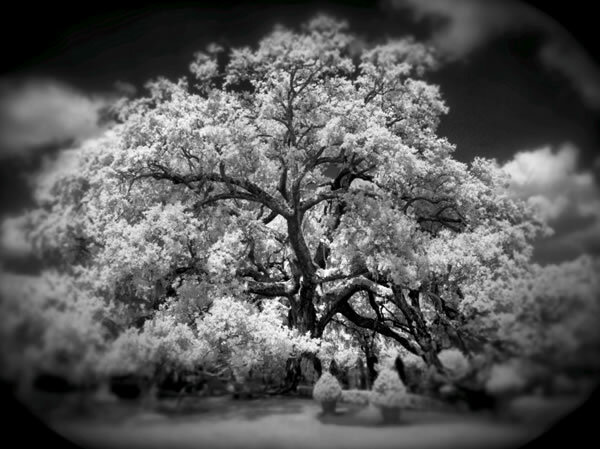 When the Cummer family moved to their new homegrounds on the banks of the St. Johns River in the late 1890s, this live oak (Quercus virginiana) already was majestic. Over the years, the tree has witnessed tremendous changes as the surrounding gardens have transformed from an informal plot (loosely designed by prominent Midwestern landscape architect O.C. 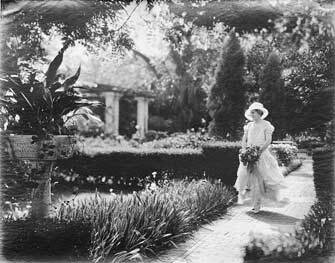 Simonds in 1903) to the nearly 1.5 acres of formal English and Italian gardens designed by Thomas Meehan & Sons, Ellen Shipman, and the gardens’ owner, Mrs. Arthur (Ninah) Cummer. Although many efforts continue to be made to protect the Cummer Oak, including building adjacent galleries on pilings to protect the roots, the greatest threats to this tree remain age age-related. Woodward Studio; (bottom) Cummer Garden, 2010. Images courtesy the Cummer Museum of Art & Gardens. 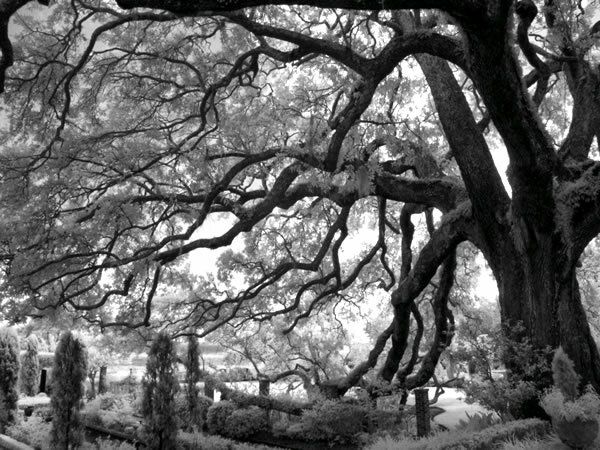 When the Cummer family moved from the Midwest to a site on the banks of the St. Johns River in the late 1890s, they found this majestic live oak tree (Quercus virginiana) already on the property. In the beginning, the family developed their gardens informally; however, in 1903, Midwestern landscape architect O.C. Simonds gave a preliminary form to the gardens. He enhanced existing stands of live oaks to create a naturalistic setting for the house and grounds that engaged the native vegetation and took advantage of the riverfront locale. In 1910, the Cummer family hired Philadelphia nurserymen Thomas Meehan and Sons to design and install the first of the formal gardens on the estate, an English Garden. The Cummers continued to develop the grounds, later engaging the Olmsted Brothers firm and, in 1931, Ellen Shipman. Shipman’s Italian garden includes two long reflecting pools, a semicircular seating area, and mixed herbaceous beds under the shade of the Cummer live oak. Property owner Ninah Cummer herself played an important role throughout the design process. Mrs. Cummer was well-read in garden-related literature. She sought specialized plants from regional nurseries and encouraged local firms, such as the Glen Saint Mary Nurseries, to stock varieties suited to Northeast Florida’s climate. Her studies, as well as her trial and error experience in her own gardens, helped Mrs. Cummer to become the acknowledged leader in Southern gardening at that time. 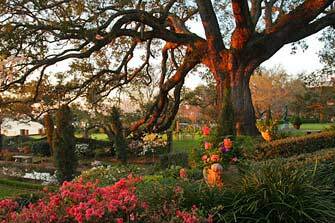 As a result, the Cummers' gardens appeared in Glen Saint Mary’s catalogs and in books by noted Florida horticulturists. Ninah Cummer became an avid lecturer and wrote regularly for publications, sharing her enthusiasm for gardening and the lessons she had learned on her own estate. 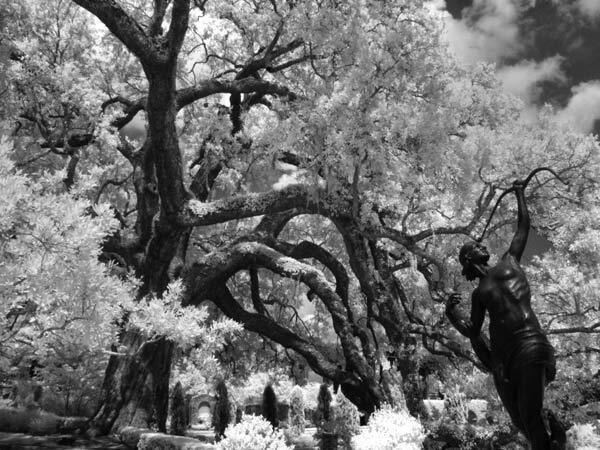 In 1924, under the watchful eye of the Cummer Oak, Mrs. Cummer helped found the Florida Federation of Garden Clubs, bringing together four independent garden clubs (Winter Park Garden Club, Garden Club of Halifax County, Garden Club of Jacksonville, and Garden Club of Miami) thus altering Floridian gardening forever. After Arthur’s death in 1943, Mrs. Cummer focused her energy more and more on amassing an art collection. In her own will, Ninah Cummer formed the Cummer Museum of Art & Gardens, Arthur and Ninah’s most enduring bequest to Northeast Florida. 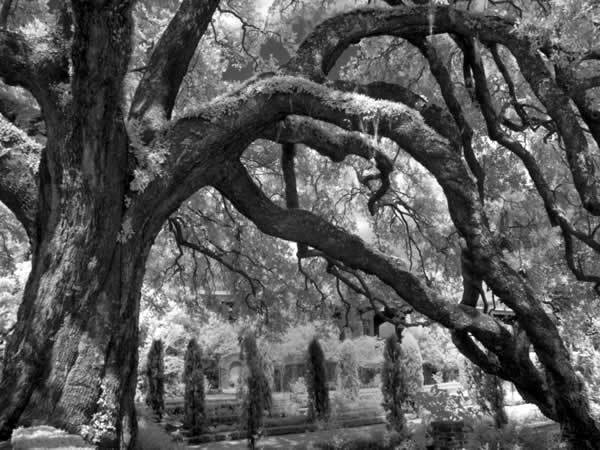 The Cummer live oak continues to remain a defining feature of the Cummer Museum of Art & Gardens, Today, the oak stands 80 feet tall, with a span of 138 feet and a circumference of 21 feet at breast height. 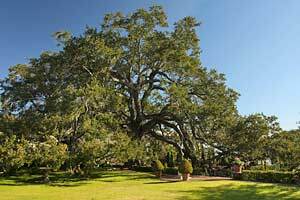 The Cummer gardens, including the live oak, were listed in the National Register of Historic Places in 2010. Many attempts continue to be made to protect the Cummer Oak, including building adjacent galleries on pilings to protect the roots. However, the greatest threat to the tree is its ever-increasing age. The tree requires exceptional maintenance and will continue to be threatened by the tropical storms that regularly lash the Florida coasts. The public is encouraged to visit the tree during museum hours and learn more about this majestic landmark. Additionally, those wishing to volunteer to help care for the tree -- or the gardens in general—are encouraged to contact the museum to become involved. Now director of photography for Bonnier Corporation, Nighswander won the National Press Photographers Association 1993 Magazine Picture Editor of the Year award for his work on staff at National Geographic. His previous photo editing experience included stints at The Cincinnati Post, The Columbus Dispatch, and The Washington Times. Nighswander’s photographs have been published in Time, People, Esquire, and Sports Illustrated.